Overview What we are? 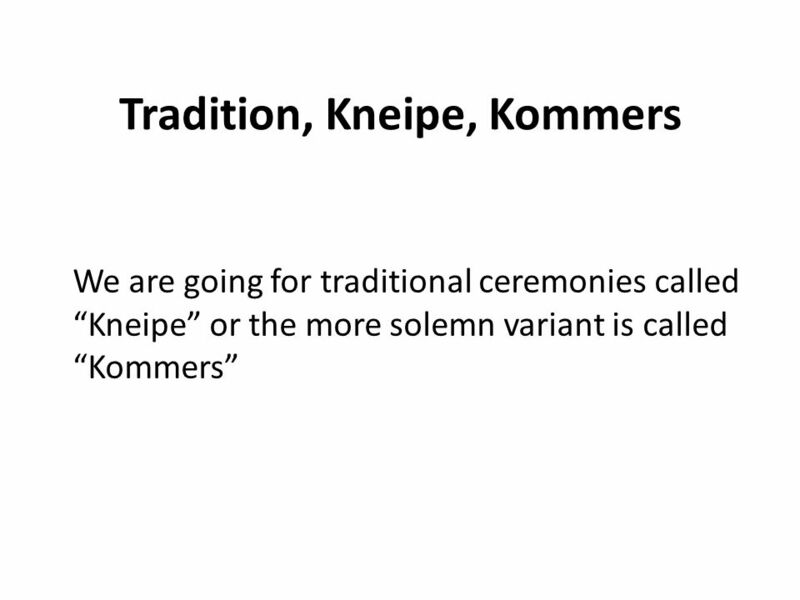 Motto and Principles Comment Identification colors and Nick names Our members Our „Bude“ Why I chose the KBB What we are not! 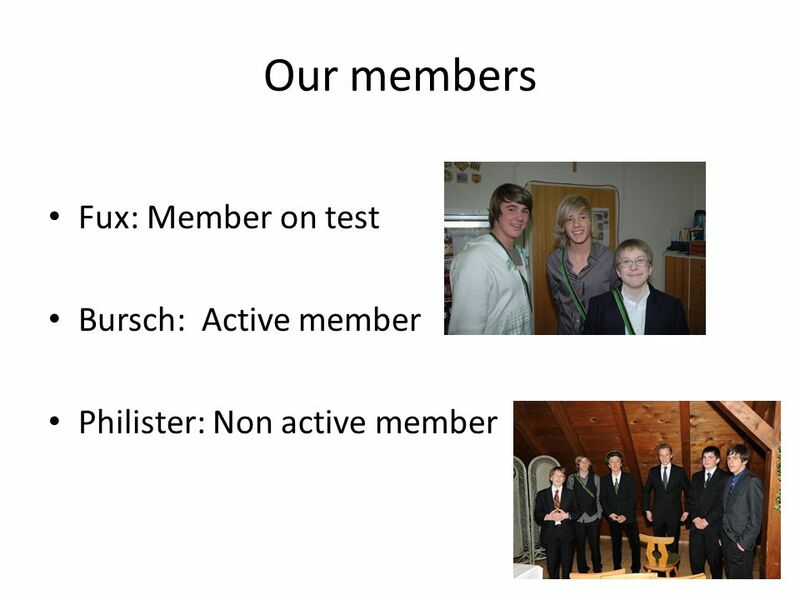 2 Overview What we are? 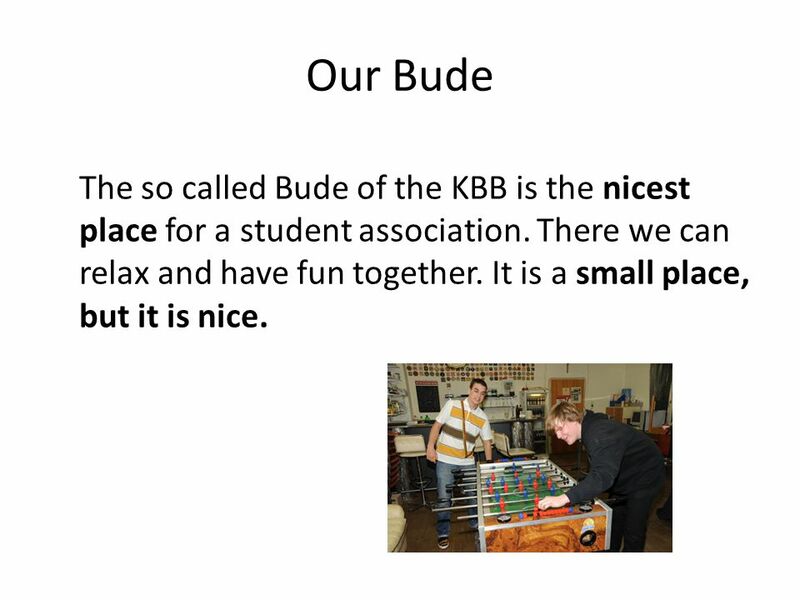 Motto and Principles Comment Identification colors and Nick names Our members Our „Bude“ Why I chose the KBB What we are not! 5 Lot of fun During our meetings we are chanting, talking, and we have a lot of fun together. 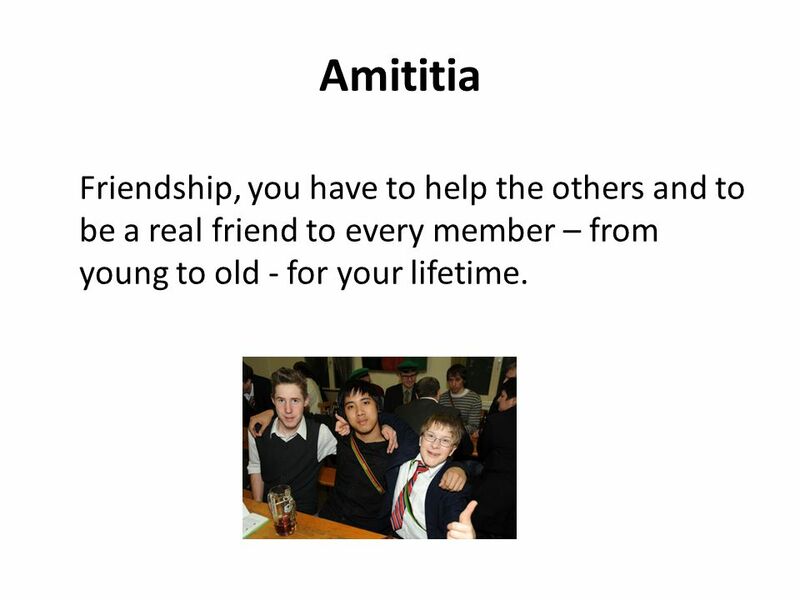 9 Amititia Friendship, you have to help the others and to be a real friend to every member – from young to old - for your lifetime. 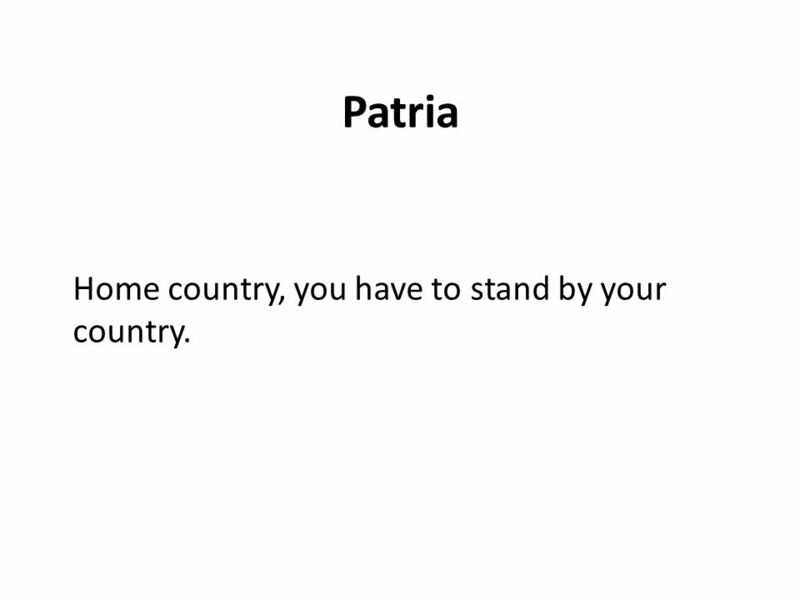 10 Patria Home country, you have to stand by your country. 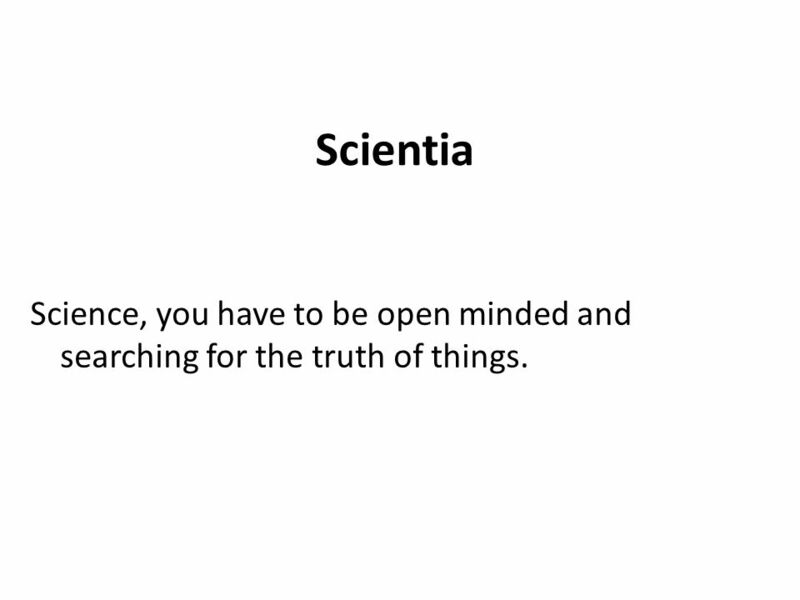 11 Scientia Science, you have to be open minded and searching for the truth of things. 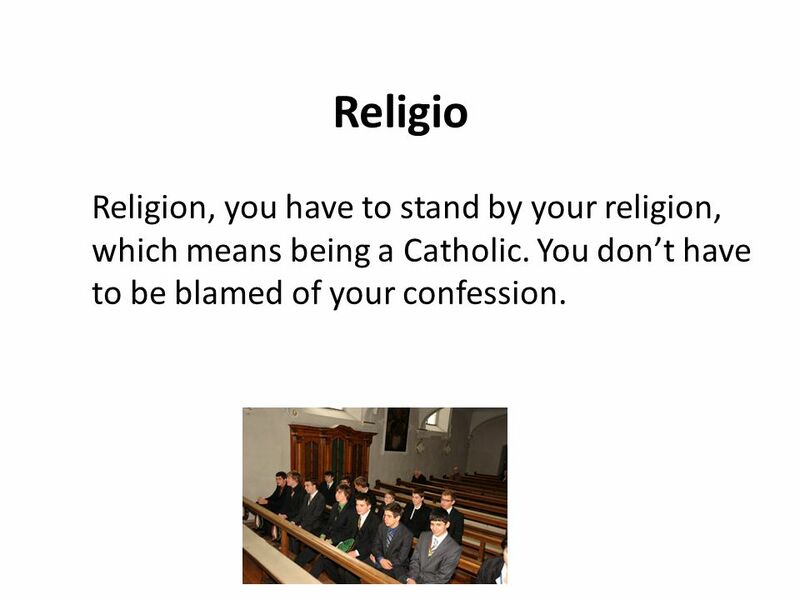 12 Religio Religion, you have to stand by your religion, which means being a Catholic. You don’t have to be blamed of your confession. 13 Comment Also there is a code of good behavior resulting from the 4 principles: We call it the “Comment”. For example we have to show respect, esteem, tolerance and assistance to our “brothers” so called the members of the same fraternity. 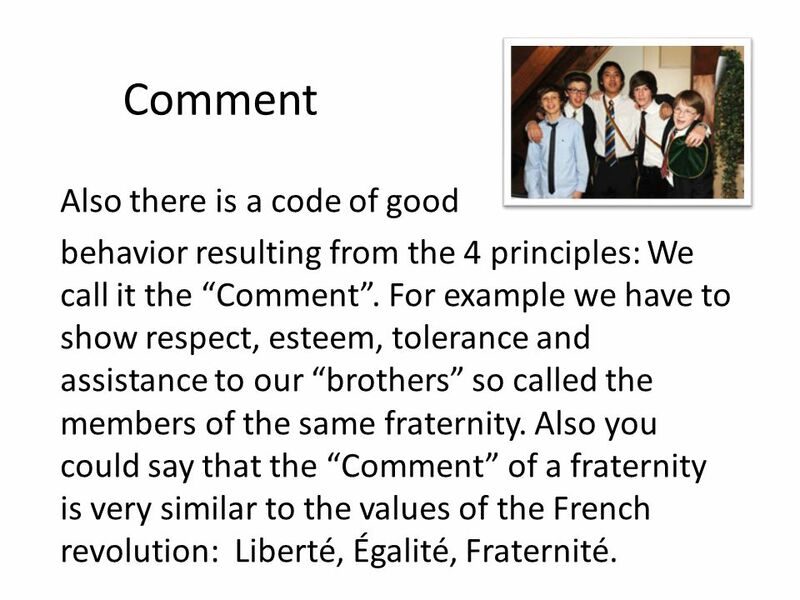 Also you could say that the “Comment” of a fraternity is very similar to the values of the French revolution: Liberté, Égalité, Fraternité. 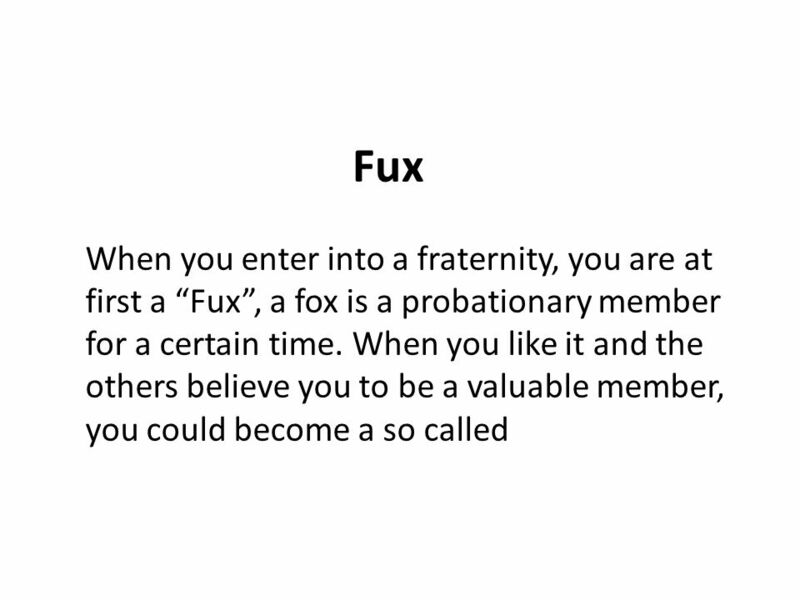 15 Identification Colors Every fraternity has ones identification colors. 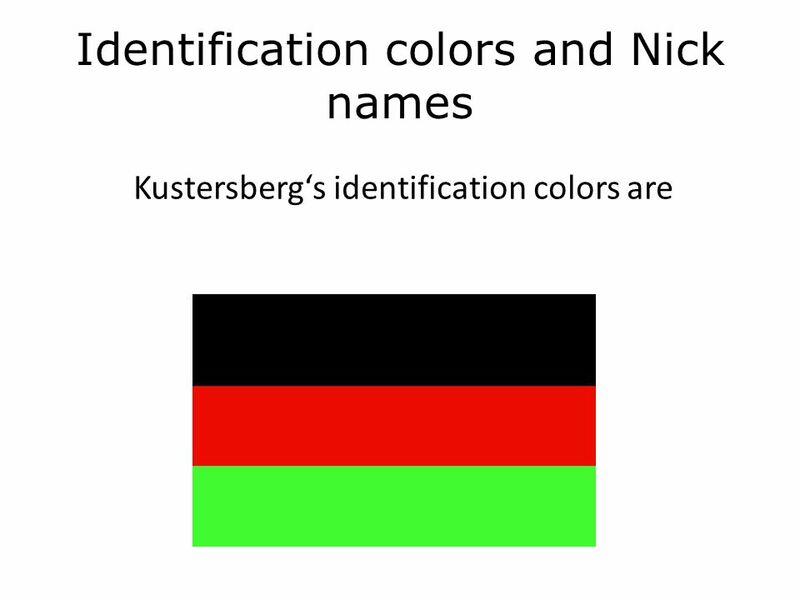 Kustersberg has Black-Red-Green. 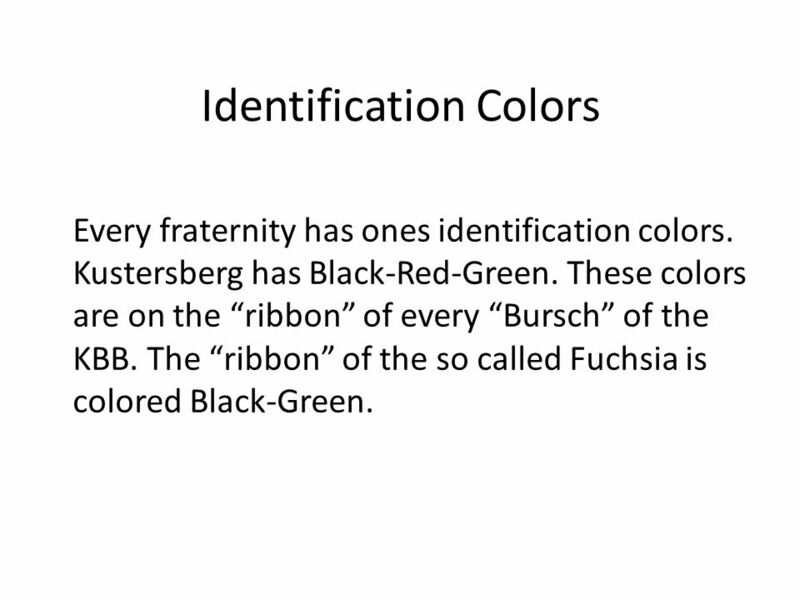 These colors are on the “ribbon” of every “Bursch” of the KBB. 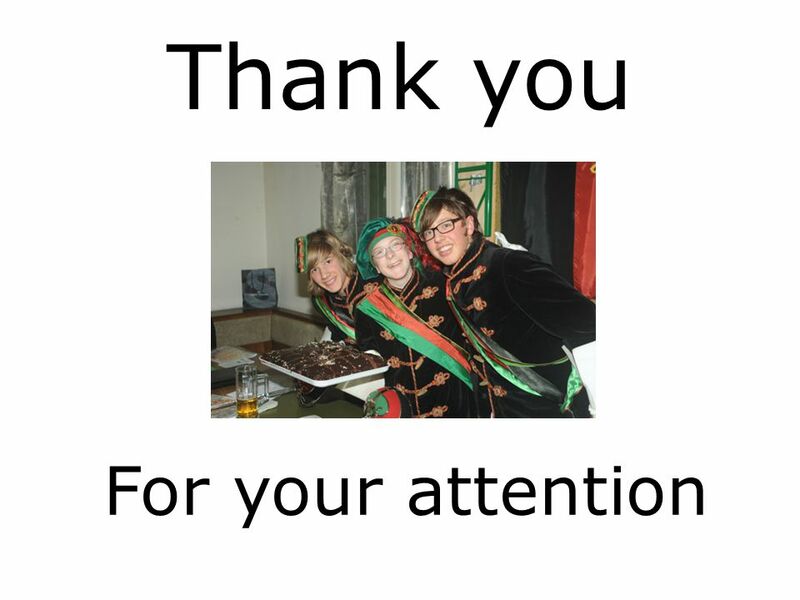 The “ribbon” of the so called Fuchsia is colored Black-Green. 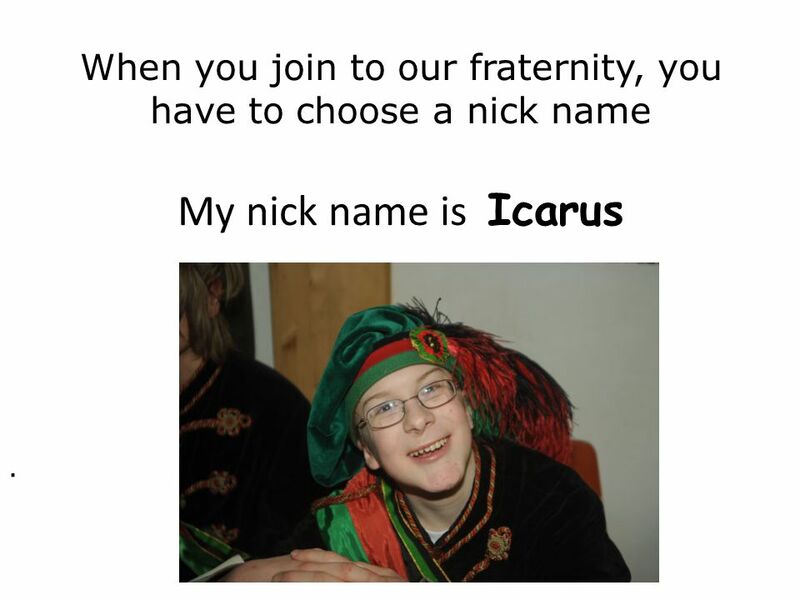 16 When you join to our fraternity, you have to choose a nick name My nick name is Icarus. 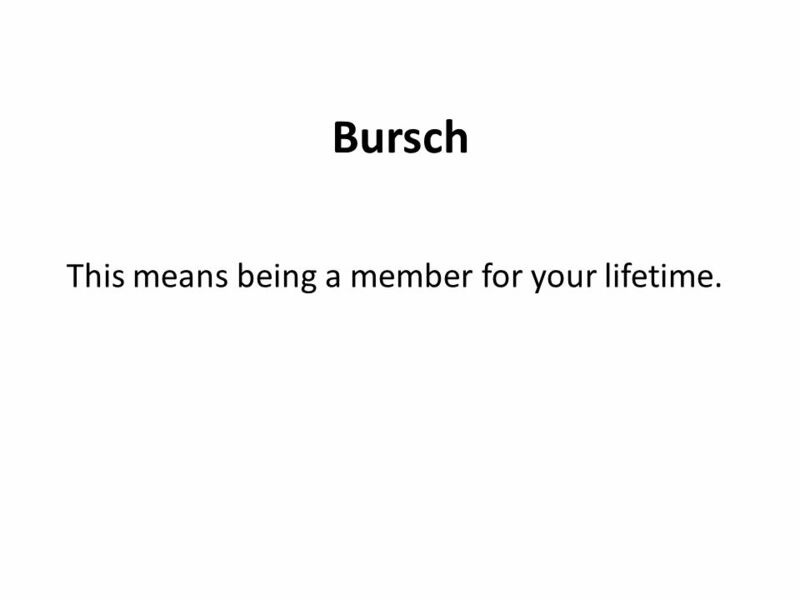 19 Bursch This means being a member for your lifetime. 21 Our Bude The so called Bude of the KBB is the nicest place for a student association. There we can relax and have fun together. It is a small place, but it is nice. 22 Why I chose the KBB I chose the KBB because there I really feel untroubled and relaxed. The boys I met there were open- minded to me and integrated me into their community from the first day on. There I can relax well and meet many real friends. 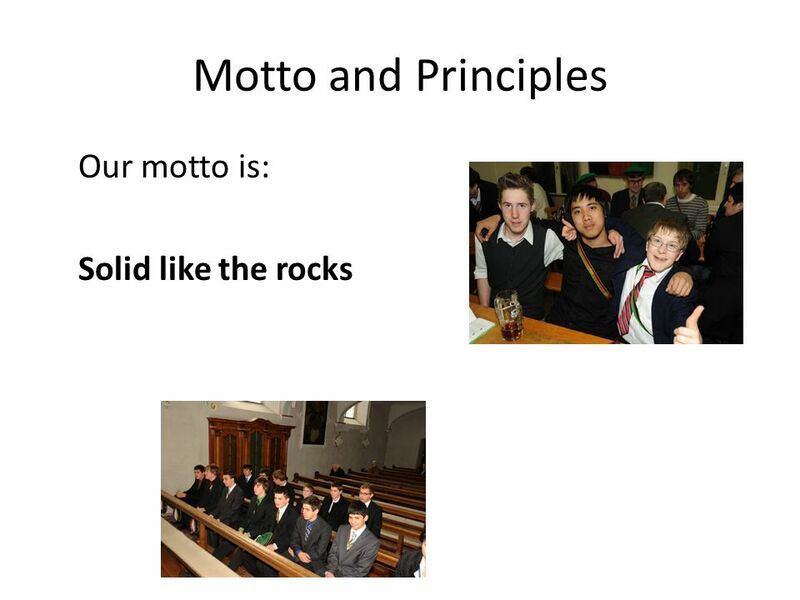 I went there because I saw that the principles are really implemented in the behavior and actions. 23 What we are not!!! 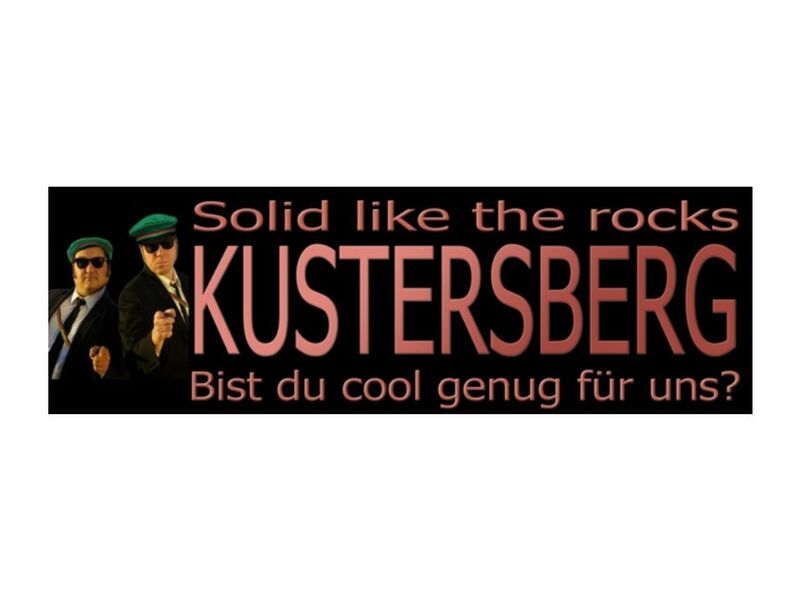 The Kustersberg is no sect. We are not side-winged! 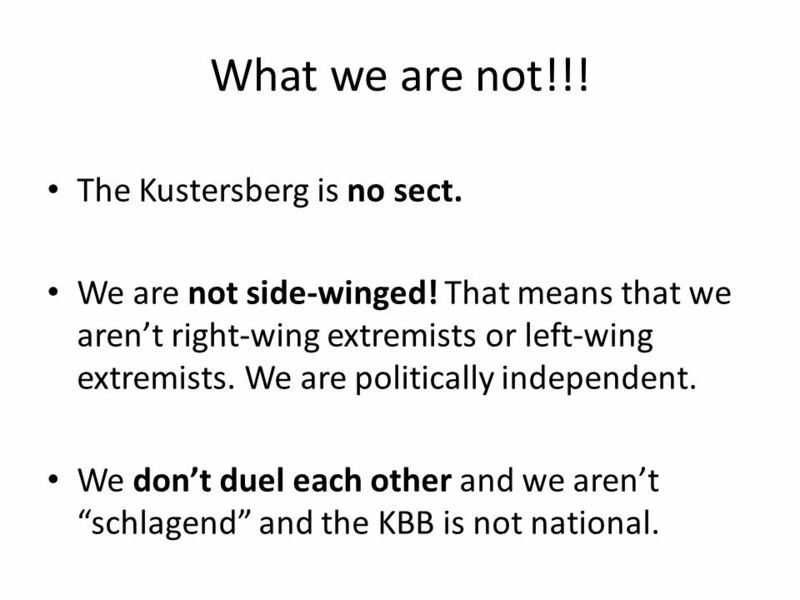 That means that we aren’t right-wing extremists or left-wing extremists. 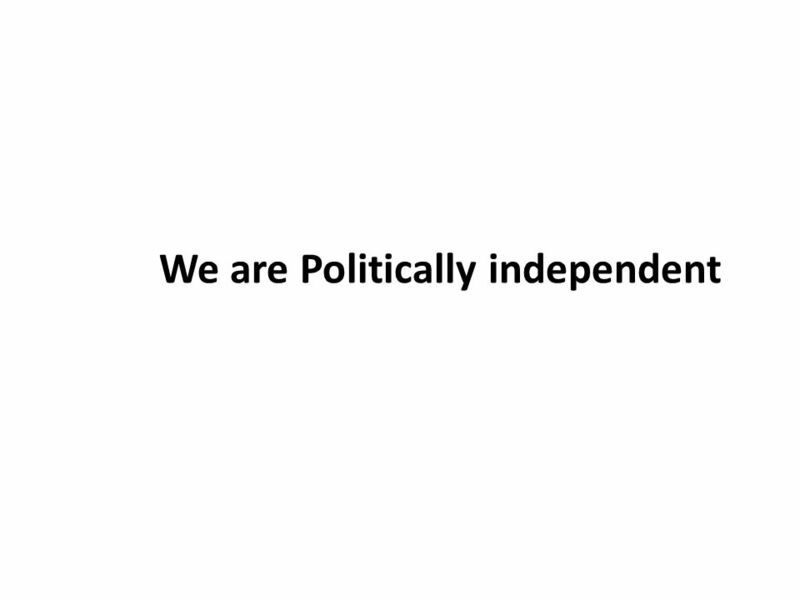 We are politically independent. 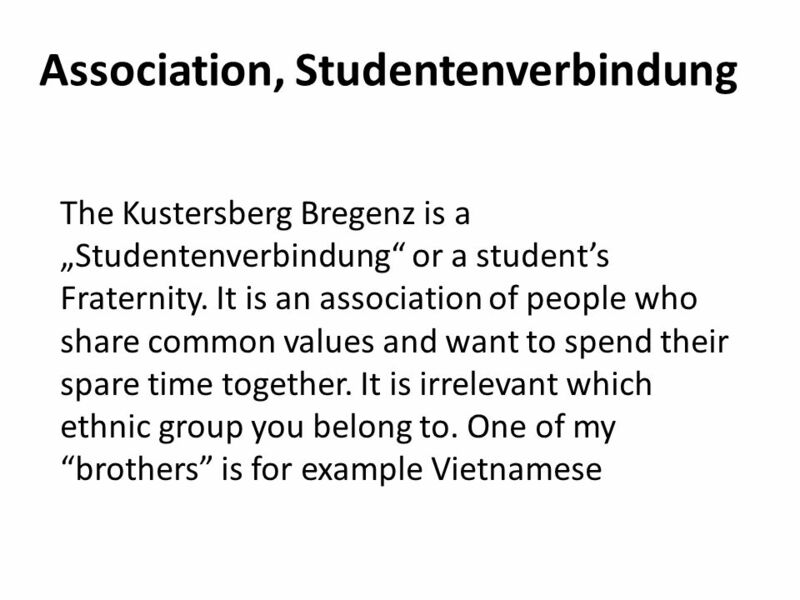 We don’t duel each other and we aren’t “schlagend” and the KBB is not national. 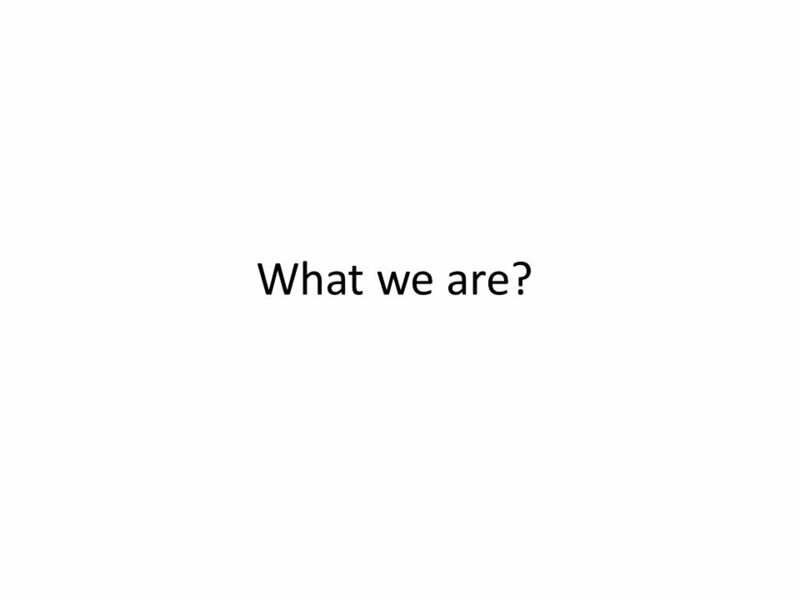 Download ppt "Overview What we are? 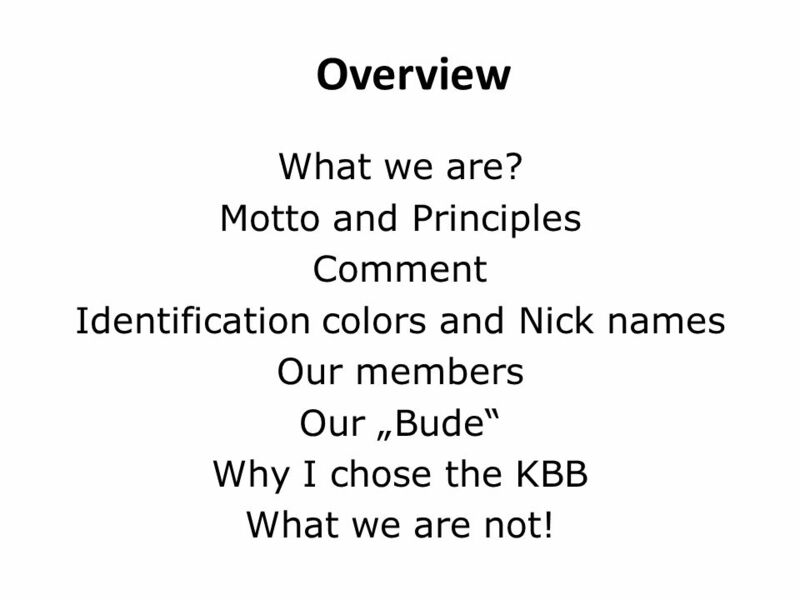 Motto and Principles Comment Identification colors and Nick names Our members Our „Bude“ Why I chose the KBB What we are not!" Chapter 2 Discovering Who You Are. Key Questions Did you ever want to know what makes you who you are? Did you ever wonder why you acted the way you did? Planning My Future Culminating Project Overview Who am I? 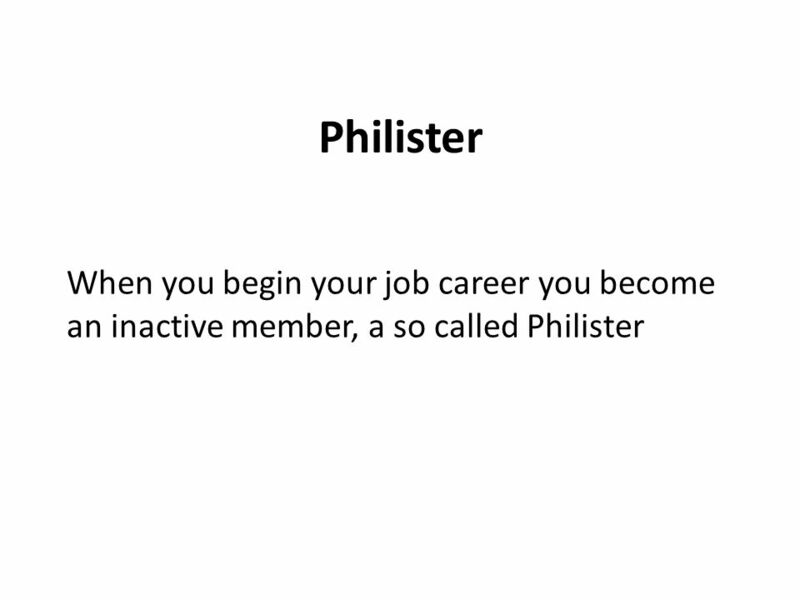 –Background –Interests –References Accomplishments –High School Community Service Job. Log bad_english_-_when_i_see_you_smile Home Answer Key. Finding your Place at BU Kristin Race Literature and Society Dr. Sherry 10/03/11. True colors Better understanding of your personality, communication preferences, and how it affects interactions with your core! RESPECT Do YOU have it? Presented by DMCS STRIVE February 2009 Grades K - 5. RESPECT PRESENTED BY: MRS. REX. WHAT DO THEY HAVE IN COMMON? The Giver By: Lois Lowry. Characters Jonas- an eleven year old boy about to be given a very interesting job Jonas’ father-he works at the Nurturing Center. Sibling R i v a l r y. Program Objectives n Parents will understand reasons for sibling rivalry n Parents will learn about ways to reduce fighting among. Definition of Forgetting: Definition of Forgetting: 1. Cessation of memory to be had. 1. Cessation of memory to be had. 2. M. Cessation of affection to. I love cats, so I chose cats as the subject of my Andy Warhol imitation I made this when I was five years old. Intonation to show you have more to say- Introduction Listen: I have one brother. I have one brother, one sister, and two cats. LaurenSpeak.weebly.com.